With summer just around the corner motorcycle season is once again upon us. 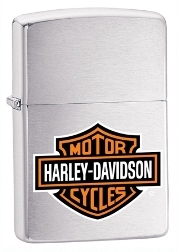 Before answering the open road’s call though Harley riders should be sure to grab one of Zippo’s new 2010 Harley-Davidson collection lighters. 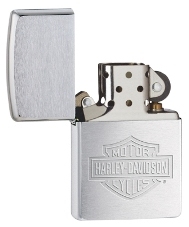 These iconic windproof lighters from one of the most trusted and recognized brands in the world feature the same reliable design as the original 1930s models such as the trademark flint- wheel ignition system, rugged metal construction, hinged lid, one-hand operation and the distinctive ‘click’ that have made the Zippo lighter legendary. They are as reliable as the bikes whose emblem they proudly bear and will be a perfect companion for any trip long or short. I’m thinking that the Zippo/Case Museum in Bradford, PA would be a great stop on our next motorcycle trip to the Mansfield, PA region.